Now is the perfect time to start preparing your house for the Great British Spring Clean! From the 2nd to 4th March, we’re all being encouraged to clear up the litter that blights our streets, but why not go one step further and give your home a freshen up after a cold winter. From giving your hallway a lick of paint, to ensuring your house is odour free, Dimplex offers its top tips on nailing this year’s spring clean. Declutter! There is nothing more satisfying than being ruthless and throwing away all the unused items you’ve hoarded over the years. There’s a simple rule when it comes to decluttering your home. If you haven’t used something in the past six months, then you should consider throwing it away or donating it to charity, with the only exception being seasonal items and clothing. The deep clean. It may take you several hours, but if you grab your rubber gloves and cleaner and give your kitchen and bathroom a really good clean, you’ll instantly see the difference. What’s more, once they have been given a good scrub, you can easily maintain them each week with minimum effort. Accessorise. You don’t need to buy new furniture to make a room look different. A few simple accessories can make a world of difference. 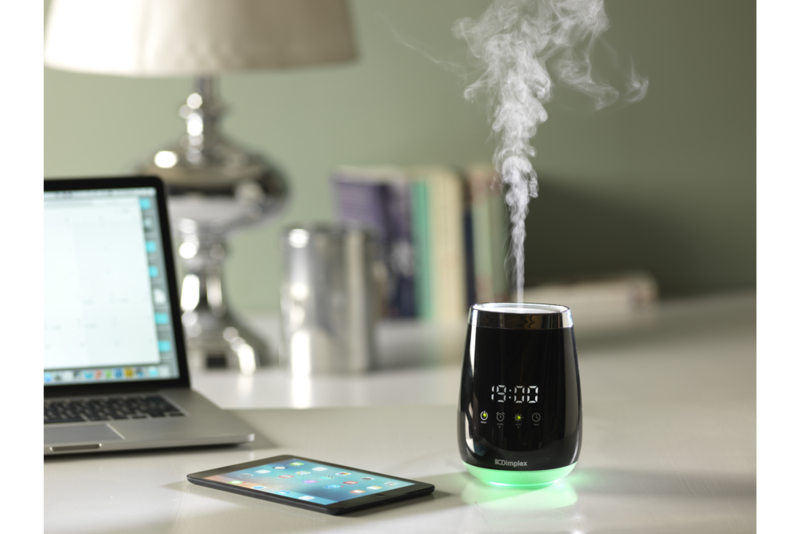 The Dimplex Electronic Aroma Diffuser is a sleek and modern way of spreading aromatic fragrance oil around your home and can double up as a discreet alarm clock! Get your paintbrush out. You don’t need to repaint your whole house to freshen it up, simply wipe down the scuffed areas with a damp cloth and repaint anywhere that’s been marked or attacked by sticky fingers! You’ll be surprised at what a difference just a quick whiz with the paintbrush can do. Breathe easily. Once you’re happy with your handy work, get rid of all those lingering odours and dust in the air with the Dimplex Air Purifier with HEPA filter and Ioniser. 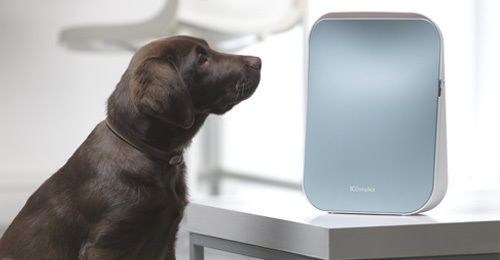 The compact, yet stylish filter can be moved around from room to room capturing all your dust, pollen and pet smells to keep your home feeling fresh and healthy.